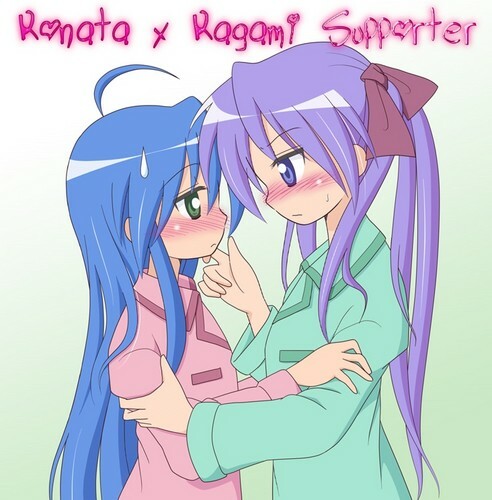 Konata x Kagami. When I see this I can't help but go "Awww!!" So Cute!". HD Wallpaper and background images in the Lucky звезда club tagged: lucky star konata kagami. When I see this I can't help but go "Awww!!" So Cute!"